Georges Lemaitre's theory of the universe's expansion had to face rejection from major physicists and theorists of the era. Einstein initially dismissed his work, saying, “Your calculations are correct, but your physics is atrocious." 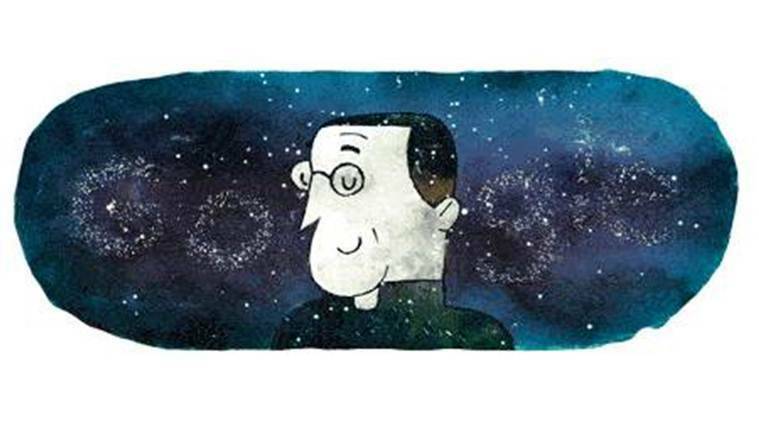 Georges Lemaitre, a Belgian cosmologist who proposed Big Bang theory, has been honoured by Google on his 124th birth anniversary by dedicating a doodle on its home page. Born on July 17, 1894, in the Belgian city of Chaleroi, Lemaitre was a Jesuit Catholic who was attracted to both science and theology. He took a break from studies to serve in the Belgian Army during the first world war, for which he also won a Belgian War Cross. After the war ended, he went on to study at Cambridge, Harvard, and MIT. Subsequently, he kept preparing to be a Catholic priest and got ordained in 1923. His paper went largely unnoticed until American astronomer Edwin Hubble, using the world’s largest telescope at Mt Wilson in California, discovered that distant galaxies appeared to be moving away from each other at speeds proportional to their distances as Lemaitre had described in his theory. Based on this, Hubble substantiated the work done by Lemaitre in his paper published in 1929. The paper got wide appreciation and this time, even Einstein approved of his theory. In 1931, Lemaitre realised that if the universe is ever expanding, it must have originated from a small, concentrated state. He called this dense state as the “primaeval atom”, which gave rise to space and time. This idea led to the birth of what we call today as the “Big Bang Theory”. Lemaitre, though a devout Catholic, never mixed the two domains together and treated them as two different realities. Pope Pius XII referred to the new theory of the origin of the universe as a scientific validation of the Catholic faith, but Lemaitre neither confirmed nor denied his claim. Lemaitre died on June 20, 1966 at the age of 71. The discovery of cosmic microwave background radiation provided further evidence for his birth of the universe theory. 1 Who is Croatia President Kolinda Grabar-Kitarović? 2 Who is Hima Das? 3 Who was Dada Vaswani?